Manchester agency Degree 53 has launched a new gaming division in a move that will create over 20 jobs. Degree 53 Gaming will focus on providing design services and bespoke technology to gambling companies, and is intended to reinforce the company’s status as a leading provider of online gambling technology. The resulting new opportunities will include automation tester, solution architect, senior front end developer, head of QA and senior project manager. 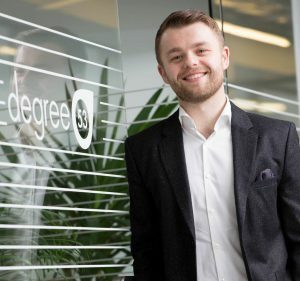 Degree 53, which works with clients including Betfred, Co-op Bank, Penn Interactive Gaming and Yaggle, reported a turnover of £2.83m last year and now has a total headcount of 47. He said the agency will invest "around £10 million" in the new division over the next two years.